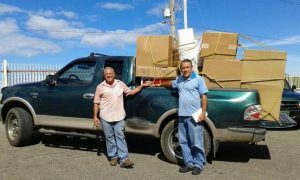 Cáritas de Puerto Rico has been able to provide a great amount of help in all the 78 municipalities of Puerto Rico, including Vieques and Culebra, thanks to the support of our 6 dioceses and 500 parishes throughout our island. At present we have provided more than one million pounds of food and basic necessities. We have given more than one million dollars in food vouchers to thousands of families, and we’ve also provided human and psychological help through Social Work and Case Management, as well as Health Clinics, and distribution of medicines and hygiene products. 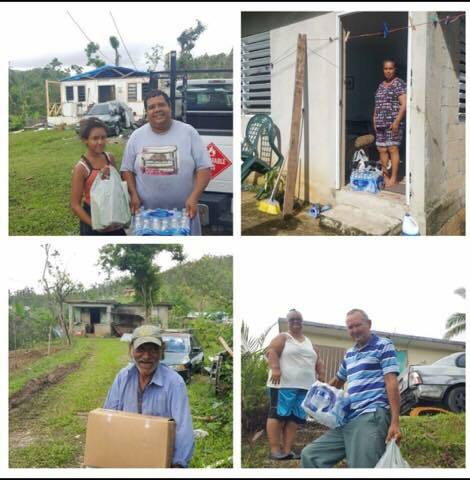 We thank all those who have trusted us with this great responsibility to give us their donations to help in the face of this great disaster that we’ve lived in Puerto Rico and we can affirm that thanks to God we are fulfilling our mission! We’re taking all the help we’ve received to every corner of our little island where there is need and suffering, and we’ll continue to help, support; thus, providing hope and mercy to our people, who with the love and strength of faith in our Lord will continue to rise and push through. WE HAVE MANY REASONS TO GIVE THANKS TO THE LORD! !